SUSE Cloud Application Platform on Amazon Web Services (AWS) provides a lean and fast platform to accelerate containerized application delivery. By leveraging a managed Kubernetes environment, SUSE makes it easier for DevOps teams to deliver applications, accelerate innovation, and improve IT responsiveness. Watch our on-demand webinar with Zendesk, Datadog, and AWS to learn how Zendesk leveraged Kubernetes on AWS to empower developers to innovate faster and expand functionality for its customers. Register for our webinar to learn how Atlassian leveraged Tigera to successfully defend, detect, and mitigate attacks on their Kubernetes environment on AWS by deploying a defense in depth posture with zero trust network security. 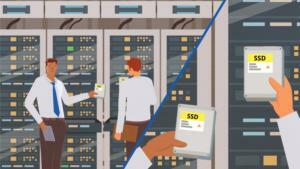 Oakgate provides SVF Pro with Enduro, see how they can help you qualify your Data Center SSDs today! In the following presentation, we will review the challenges facing data centers, offer a solution, and outline the benefits for qualifying SSDs before they are deployed into a production data center environment.